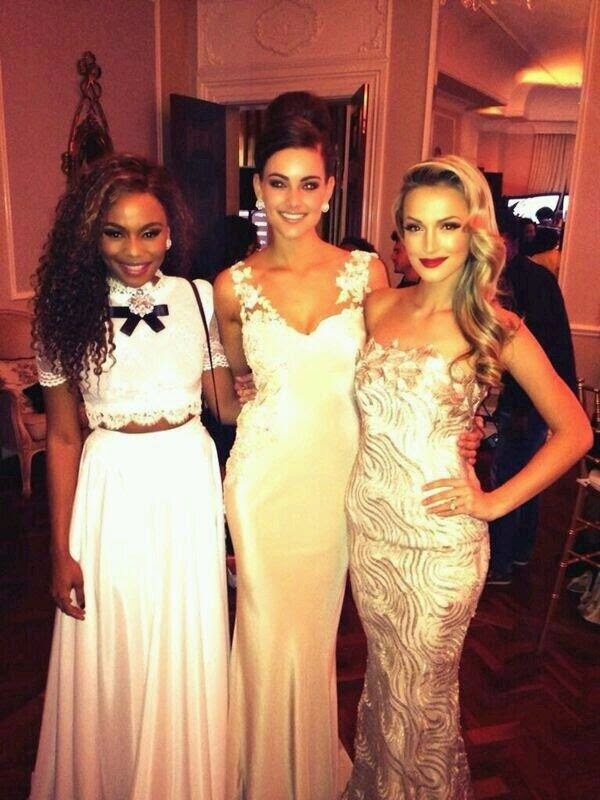 The new Miss South Africa, Rolene Strauss, had a very busy first week as South Africa's most beautiful. A radiant Strauss made several appearances on South African breakfast television shows, expressing her excitement, joy, and gratitude about winning the coveted title. She was also interviewed by some of South Africa's leading radio stations, newspapers, and magazines. In every interview, Strauss expressed her desire to be a Miss South Africa which the nation can be proud of. She also attended her first red carpet event, Glamour Magazine's Women of the Year Awards. Stepping out on the red carpet alongside Miss SA National Executive, Melinda Bam, it was quite clear why the judges awarded the crown to the gorgeous Free State beauty. South Africa's top lifestyle and entertainment television show, Top Billing, also aired an exclusive behind the scenes look at this year's pageant.